People of Pakistan and specially students are very much interested in knowing details about top paying jobs. Not just Pakistan, students across the World are interested in such professions, which offer high salary and additional perks and privileges; which provides one with a sense of financial security, good lifestyle and social status. Many of us always wonder which job is the most suitable for us even before we start working. This is mainly because none of us want to work at a job that is boring, time-consuming and pays less. We often read news about people getting high package jobs in millions from different esteemed companies. Have you ever thought what makes them eligible for this and what are those jobs which have high salaries. The qualification, experience, Institute and the attitude of the candidate are the things that get a high paying job. There are various companies and government organizations that pay top most salary to deserving people. A lucrative job is expected by each and every individual. To choose a profession is a major turning point in everyone’s life. And in today’s world, there are plentiful opportunities one can avail as a profession. Pay Package: Salary and other benefits offered by the employer are main attraction of a good job. Career Growth: Promotions, annual increments, highest post in this job and highest salaries are also main points of a good job. Job security: Job security is also one of the important factors while choosing the career. Job Satisfaction: Everybody wants respect in the society so choose the job which has respect in public. If you are getting highest pay but no respect and satisfaction in your job means it is a waste. Before starting the list, let me mention some very important points. Salaries may vary with time, your experience, financial situation of the country, employer/ company/ institute, and other many other factors. Reputed organizations guarantee a decent pay package right from the start. Without any doubt, businesses can earn well. But here we focuses on jobs only. Given salaries are median and approximate after 5 years experience. All salaries are given in PKR per month. 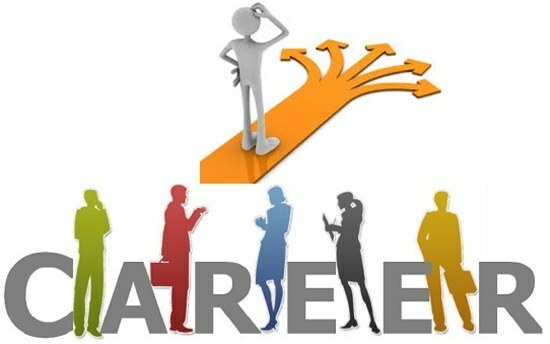 In this article, we will check out a list of some of the highest paying careers in Pakistan. The professions mentioned in this article belong to both the Government as well as Private sectors. It is the one of the best and most respected profession in Pakistan. A Chartered Accountant can work in different fields of financial accounting, tax management, auditing, accounting, banking and consultancy etc. One can choose from the numerous opportunities available for a fresh CA. Candidates should complete their course in chartered accountancy. A fresh CA can earn anything between PKR 12-15 Lakhs per annum. With the increase in the number of years and depth of experience the salaries also increase to as high as 2 to 5 million rupees per Annum. Chartered Accountants may be posted on key posts of large companies as Chief Accountant, Auditor, CFO, or Financial Analyst etc. Marketing and Business Management is a vital aspect of any company’s success. Due to this, people in this profession often get high financial and non-financial benefits. An MBA degree is required to choose this profession. Multinational companies offers immense salary packages to their experienced business managers. Doctors are also one of the top paid and most respected professionals in Pakistan. Both fame and money can be earned in this field. Doctors can earn from private practice along with their jobs. This field can be divided into many different subcategories ranging from Dentist to Gynecologist, Physical Therapist, Psychologist, Surgeons and Medical Specialists in various other fields. Students who have done their education from universities like King Edward, Agha Khan and Fatima Jinnah Medical College are being hired hand to hand. As it is the tenure of Information Technology and being a software engineer is one of the best profession and occupation in Pakistan. Various software houses are working in major cities of Pakistan and software engineers are paid quite high because there is a huge demand for IT professionals nationwide and internationally as well. This leads to highly paid jobs for IT professionals. The Software Engineering programs being offered at Pakistani Universities are compatible worldwide and software giants like IBM, Google and Microsoft hire regularly from these engineering universities. Although the average salary for the entrants is comparatively low but the growth rate is reasonable. Bachelor or Master Degree in Computer science or Software Engineering is required to come into this profession. With the explosive growth of Pakistan’s Telecom Sector, Telecom Engineers are also in huge demand. Engineering is a bright profession in Pakistan. Mechanical engineering is one of the most meritorious engineering disciplines. Electrical, Electronics and Civil Engineers are also highly paid engineers in Pakistan. A lot of fresh engineering graduates seek employment outside Pakistan, especially in the Gulf States. Popular Pakistani engineering institutions are GIKI, UET, PIEAS, NUST and NED. You can join Pak Army, Pakistan Air Force or Pak Navy as a Commissioned Officer after passing ISSB. Being a part of Army, Air Force or Navy is an honor and respect for any Pakistani. It provides a handsome salary package as well. Civil services fall under the branch of the state administration. After passing FPSC, CSS or provincial civil service exams, one may be posted in different government departments on key positions. The entry level fees and experience level payroll depends on the candidate’s posting, the political party they are associated with, and other details respectively. CSS is an elite permanent bureaucratic authority, which is called bureaucracy. And it is responsible for running the civilian bureaucratic operations and government secretariats and directorates of the Cabinet of Pakistan. Lecturers and Professors are receiving attractive salaries packages in the government as well as private universities of Pakistan. You need a PhD or at least Master degree in the relevant fields for this job. The salary ranges from Rs.70,000-250,000 per month. If you are a good sportsman then you can make it as one of the most successful and highest earning profession. Cricketers are highly paid sportsmen but Hockey and Football players are also earning great respect, fame and money. Interestingly, if you are good in game, you don't need any other qualification to be selected as a player in the teams. Actors and models earns a lot of money from films, TV drams, stage shows, commercials etc. If you are good in acting, you can come in acting field. But it is highly recommend to acquire degree level education before coming in showbiz industry. TV Hosts and News anchors also get six figure salaries. A degree in journalism and vast knowledge of history and politics is utmost necessary to join showbiz as News Anchor.